Most of you probably already know, but for those of you not familiar with Nissan, allow us to explain. NISMO stands for Nissan Motorsport. They’re the guys in charge of go-fast products coming out of Nissan. Think of GT-R, 370Z, Juke R, that sort of stuff. You get the idea. They’ve been around since the 1960s, modifying and tuning Nissans under the company’s watchful eye. Anyone familiar with Gran Turismo is probably aware of the brand and certain NISMO cars, but it still remains a mystery to a lot of people. 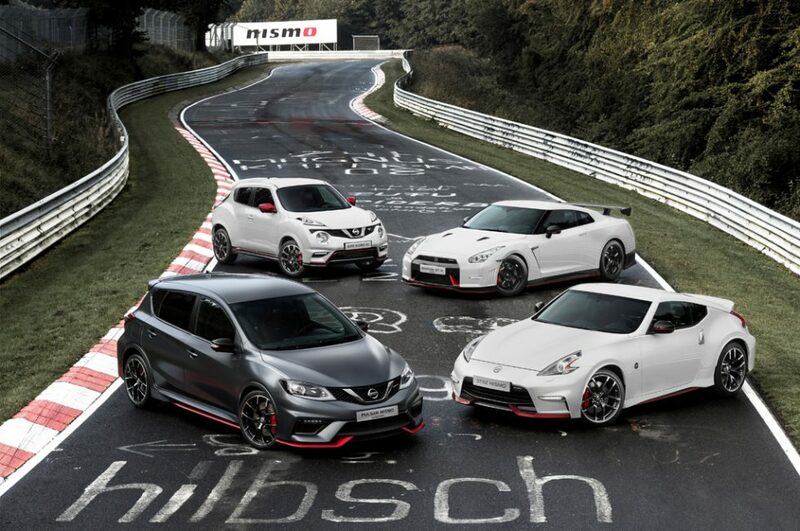 As an official sub-brand, Nismo started operating back in 2013. The first car in their official lineup was the Juke Nismo . Shortly after that we saw the 370Z Nismo, followed by the highly anticipated GT-R Nismo. Nismo cars were never a mainstream thing. They weren’t as widely spread as BMW’s M or Mercedes’ AMG. Only enthusiasts bought into the brand, with most common folk opting for the standard Nissan products. Now though, that all might be about to change. Nismo has unveiled plans to start selling more Nismo-branded products, in an effort to occupy a larger portion of the segment and make more profits. In certain parts of the world, the Nismo-fication process has already begun. In the US you can buy a Sentra Nismo straight from the dealers, and those lucky enough to live in the Middle East can pick up the amazing Patrol Nismo. Certain markets even get a lightly-tuned Note Nismo and Micra Nismo. At the moment, Nissan sells around 15,000 cars globally per year. The goal is to eventually double that figure, but as with anything, you have to start from somewhere. That somewhere for Nismo is more affordable and accessible products. No word on exact intentions, but the general idea is that the Nismo ‘trim’ should be spread to as many models as possible. Nismo CEO, Takao Katagiri, states that the main focus will be shifted towards making Nissan cars more exciting and fun to drive. Just think of the endless possibilities. A Qashqai Nismo. An X-Trail Nismo. Okay, we’re probably getting a little ahead of ourselves there, but the general concept follows. What would you like to see Nismo fiddle with next? A more aggressive 370Z? An even faster GT-R perhaps? Let us know.